We have two adorable cats and do our best to keep them healthy and happy – nutritious food, fun toys, lots of love, the works! We didn’t realize that we could also choose “healthy” cat litter for them! Some “unhealthy” litters contain a clumping agent which expands 15 to 18 times its dry size when it’s wet. When a cat licks their paws they can ingest this substance posing a risk for internal blockages. Additionally, many litters contain quartz silica (a known carcinogen) which can cause respiratory problems, some as serious as lung cancer, in cats. 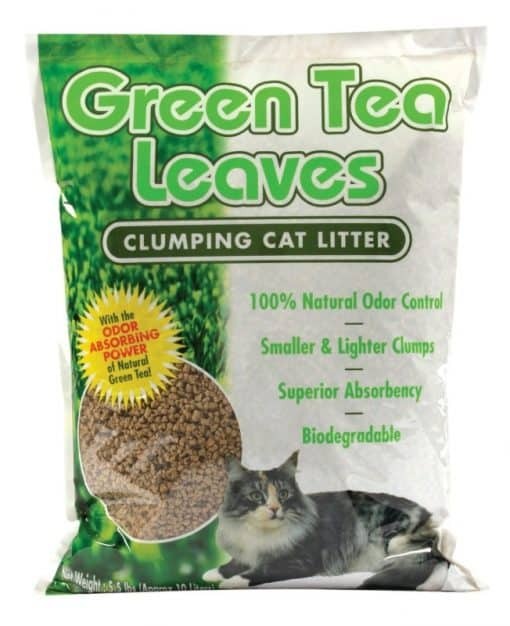 This natural cat litter is made from recycled wood and green tea powder which naturally controls odor. It’s also clumps and is compostable.